Arguably the most successful song ever released by singer-songwriter Sara Bareilles is a song called “Love Song.” Bareilles released the song in 2007 for her debut label record “Little Voice” which was released the same year. Since then, Bareilles has stated that, despite the name, “Love Song” is not necessarily written for a person, but rather for her craft. She stated that at the time the hit song was written, she was having trouble finding her sound. 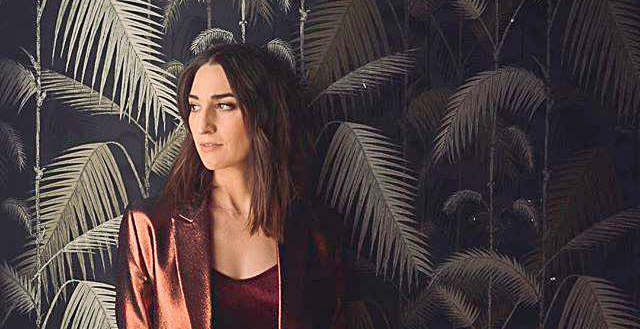 On her newest release and sixth studio album “Amidst the Chaos,” released on April 5, 2019, Bareilles confidently continues a musical exploration. From the humble beginnings of her musical career in California bars through 17 years and six different albums, Bareilles has had many opportunities to explore different sounds and styles, and on “Amidst the Chaos,” she has found a way to draw from many different genres and combine them in her own unique way. After five more songs, each one exploring its own set of unique sounds, Bareilles brings in John Legend for the album’s closing ballad, “A Safe Place to Land.” The influence of John Legend on this track is apparent. From the orchestral strings to the strong piano that carries through the track, to the interplay between Legend and Bareilles’ voices, the arrangement is a near perfect way to close a great album. Although some may desire a more consistent sound through the album, the variety provides an interesting and refreshing dynamic. One song can be a melancholy, piano driven piece and the next can be an up-tempo pop song. Such a dynamic results in an album that is entertaining throughout its track listing and one that stays fresh even after several listens through.